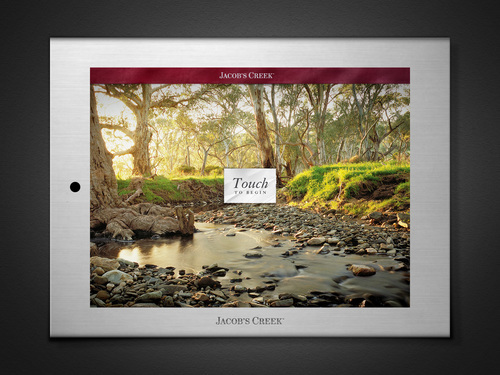 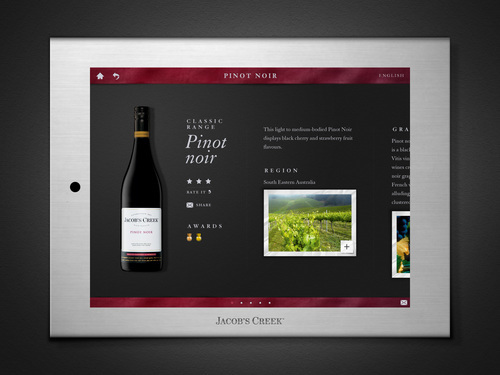 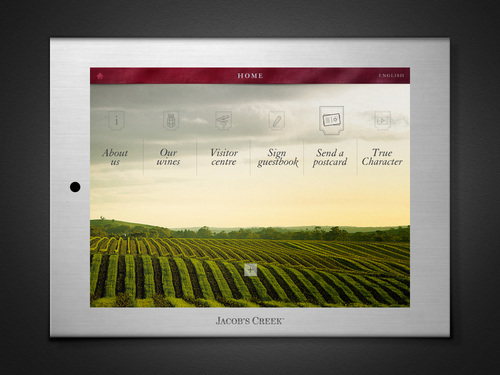 Jacob’s Creek wanted to install a kiosk in their visitors center that would allow people to explore their wines and the brand on their own. 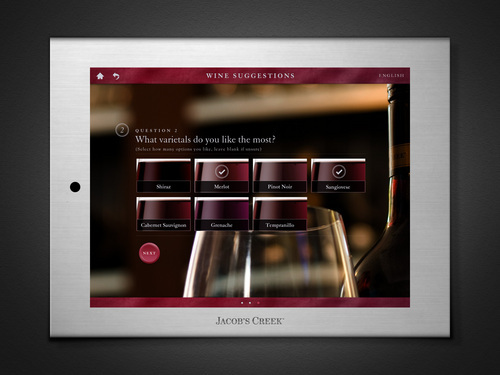 We came back with a concept based upon an iPad application model that would be configurable for multiple uses and brands. 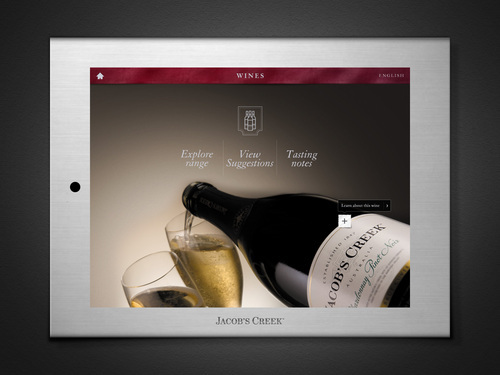 A built in Admin system allows Pernod Ricard to quickly update and configure the visible content. 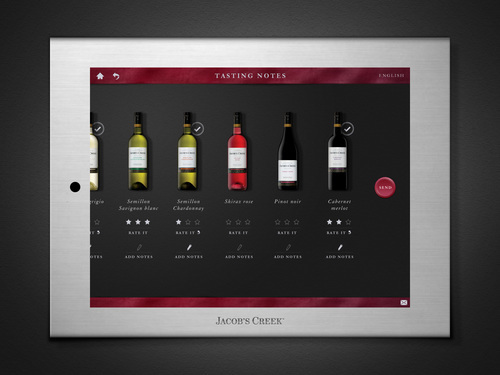 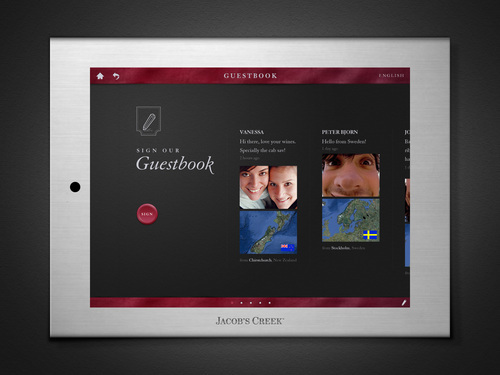 This provides the ability to use the experience in both kiosk and tablet scenarios at the visitors center or remote tastings around the world. 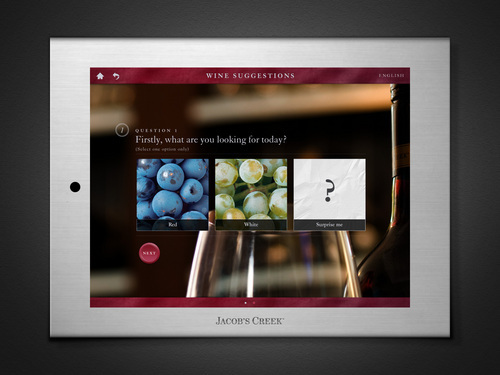 Additionally, the platform is planned and built in such a way to allow Pernod Ricard to easily and cheaply skin new versions for other sister brands.